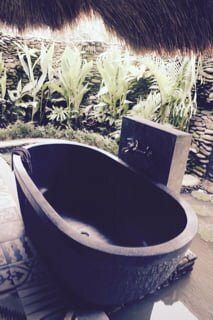 Staying within the boutique retreat centre of “Naya” situated just outside of Ubud our February retreat offered an immersion into self care & personal development. 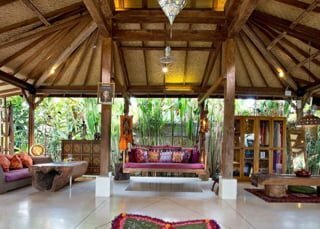 Exclusive use of the retreat centre enabled our group to easily settle into a wonderful dynamic and we moved with ease between the dedicated group spaces of the yoga shala, the joglo (lounge & dining space) and the pool area. 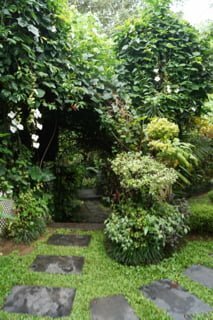 It was an energetic breeze, with weaving paths that meandered through tropical gardens connecting us to our spaces and each other. 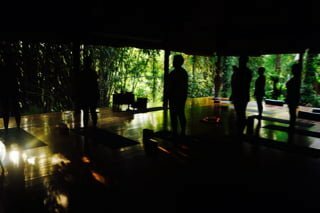 The yoga shala was a yoga lovers dream and our practice was often graced with dappled light. We were enveloped in a beautiful bamboo forest with the sound of the river beneath. The Joglo was our meeting place for beautiful meals catered in house, with a communal dining table and many places to sit comfortably with a magazine or good conversation and epic laughter, it also looked out towards the beautiful pool. There was plenty of opportunity for activities outside of the retreat centre, including a group that made their way up Mt Batur for the morning sunrise trek. Visiting the stunning Karsa spa to be pampered and rejuvinated. 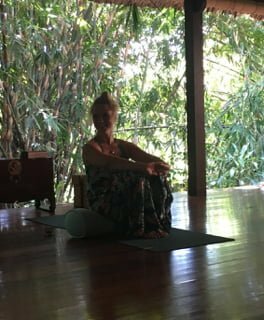 A dedicated daily program of yoga in the morning and evenings with work shop spaces intersperced throughout the day made for some beautiful movement practices, I loved the meandering paths and lush garden beds that connected me to my practice. 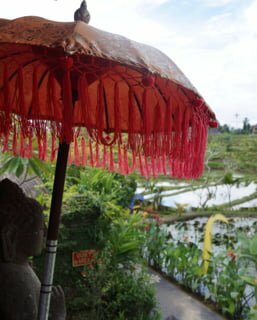 Ubud town centre was easily reached and we even enjoyed a meal out at a beautiful restaurant in town. 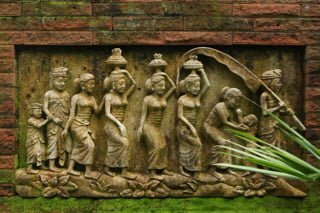 What I loved so much about Bali is the daily offerings and plentiful rituals. Next door to Naya we enjoyed seeing the locals preparing for the rice planting festival with the coming together to work and create so much beauty and peace. 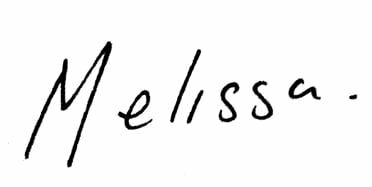 With this spirit of gratitude and peace I would like to thank Claire Clark from Yea fitness for co creating this retreat with me, my mum Heather who I was so fortunate to have as part of this experience and the beautiful women who entrusted me to facilitate this journey for them, It was a blissful honour. Becoming Yoga will release the next instalment of overseas reteats in 2018 vibrant and continually beautiful and evolving.